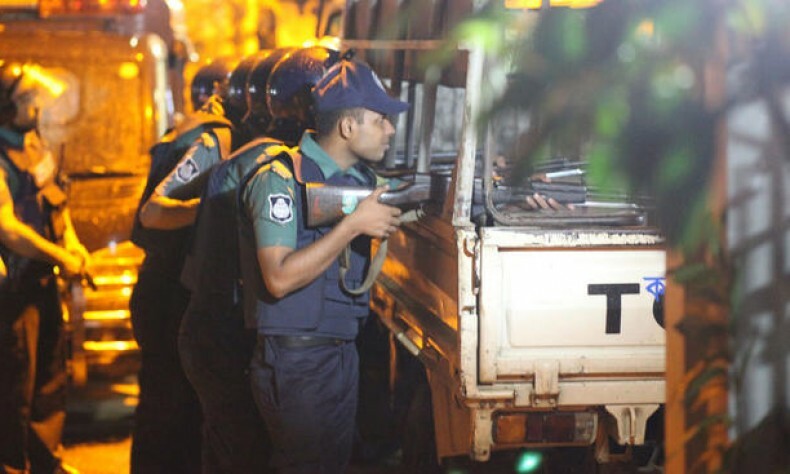 The ghastly attack in the plush green diplomatic area of Dhaka claimed victims who were abroad in a foreign country, on official assignments. The maximum casualties were professionals and business persons from Japan and Italy. The Japanese victims (five men and two women) were engineers and urban planners working for three planning and consultancy firms based in Tokyo, namely, Katahira & Engineers International, Oriental Consultants Global Company and Almec Corporation. Their staff members were in Dhaka studying ways to improve the city’s traffic congestion when they were brutally killed while on duty. These included Koyo Ogasawara, 56, an environmental impact assessment expert, who was scheduled to return to Japan on July 5; Nobuhiro Kurosaki, 48, a civil engineer who specialized in designing bridges and underground pedestrian walkways; and Makoto Okamura, 32, who was engaged to be married next year. Others who were killed in the attack were Yuko Sakai, 42, Rui Shimodaira, 27, Hideki Hashimoto, 65 and Hiroshi Tanaka, 80. The nine Italian nationals killed were people working in the textile industry. Simona Monti, 33, had been working in Dhaka as a technician and production manager for a clothing manufacturer. She was five-months pregnant, and was scheduled to return to Italy soon for a medical check–up. Adele Puglisi, 54, had for years managed the Dhaka office of a large Italian company that makes children’s clothes. She had started working abroad more than 15 years ago. She had planned to visit Italy the following weekend but then fate had planned otherwise. Cristian Rossi, 47, father of 3-year old twin girls, was an entrepreneur. He had earlier worked in Bangladesh for 15 years for an Italian textile company and now worked in his own import business involving clothing made in Dhaka. He was to have headed back to Italy but delayed his departure to sign business contracts. Claudia Maria D’Antona, 56, who had lived in India and Bangladesh for 18 years, also worked in the clothing and textiles business. Her husband survived the attack because he was in the restaurant garden talking on the phone when the attackers came. Nadia Benedetti, 52, was a managing director for a Bangladeshi branch of a British firm. Her friend, Adele Puglisi, 54, was a quality control manager from Sicily. Another lady, Maria Rivoli, 34 was also travelling in Bangladesh for the textile business. Claudio Cappelli, 45, was an entrepreneur in the apparel business. Marco Tondat, 39, had been in Bangladesh for about a year. He worked in textiles industry and was about to return home. He was supposed to return to Italy on Monday, three days after the attack. The mindless attacks have put an end to the careers and dreams of these innocent persons who were attending to the call of their duty in a foreign land. Following the attacks, some of the 240 Japanese companies with offices or factories in Bangladesh have suspended employee trips from Japan to the country and grounded local employees. Fast Retailing Co., which runs the Uniqlo clothing brand, said its employees are restricted from entering Bangladesh on business trips until the end of July. Toshiba Corp., which opened an office in Bangladesh in June last year, has restricted all employees from visiting the country until July 10.